Soul Sleep, Truth or Deception? IX. Does God Allow the Torment of the Ungodly? At death what happens to a Christian? Does he or she go to heaven or the grave? There will not be eternal damnation in Hell, because those in Hell will be cast into the Lake of Fire, Revelation 20:13-15. This study has in view the Watch Tower Society’s/ Jehovah’s Witness’ teaching on ‘soul sleep’ and ‘the annihilation of the wicked’. Other groups also believe in ‘soul sleep’ and ‘the annihilation of the wicked’. Annihilation is not taught here, the false prophet a human is thrown into the Lake of Fire to be tormented day and night forever and ever! Saints under the Old Covenant went to Paradise which is also called Abraham’s Bosom. In Hell there is a place called Paradise and a place of great torment. They are separated by a great gulf. Lazarus was in Paradise/Abraham’s Bosom, and the rich man was in a place of torment. Jesus, under the Old Covenant, told the thief on the cross that they would be in Paradise together that day. The thief’s soul was not to stay in its body waiting for a resurrection as some teach. His soul would join Abraham’s, Samuel’s, Moses’ etc. soul in paradise. In paradise, Jesus preached to those in the place of torment. He was telling them about the salvation they missed. At death (sleep) a Christian’s body goes to the grave to await the calling forth of Jesus, 1 Thessalonians 4:16. Jesus was the first fruits of the resurrection. After being in paradise also known as Abraham’s bosom for three days He was reunited with His body as were many Old Covenant saints, Matthew 27:52-53. He wasn’t in His body in the tomb; He went on to paradise. At death a believer’s soul goes straight to heaven to be with Jesus. The spirit returns to Jesus. The body only is in the grave. Believers under the New Covenant go straight to be with Jesus. God will bring with Him the souls of people whose body is in the grave. Those whose body is in the grave will have their body raised from the grave to be reunited with their soul. What happened to Jesus after the cross? Jesus went to Paradise where He saw the repentant thief who had been on a cross. While in Paradise, Jesus preached to those in the place of torment. Jesus was not in torment. He was not beat-up by the devil as those who teach that Jesus died spiritually, Kenneth Hagin, Kenneth Copeland, Jerry Sevelle, Jesse Duplantis, Creflo Dollar, etc. The Bible warns of those who will teach a different Jesus. JW’s doctrine teaches all Old Covenant people are non-existent. The Scriptures clearly teach the existence of Old Covenant people! Saints and the wicked! Moses and Elijah are seen alive. Their soul continues to exist. Abraham, Isaac, and Jacob are with Jesus, now! A. Jesus’ soul was not to be left in Hell. Please remember Hell is divided into two parts – A place of torment and Paradise/Abraham’s Bosom. B. Can a human soul go to Hell? YES! 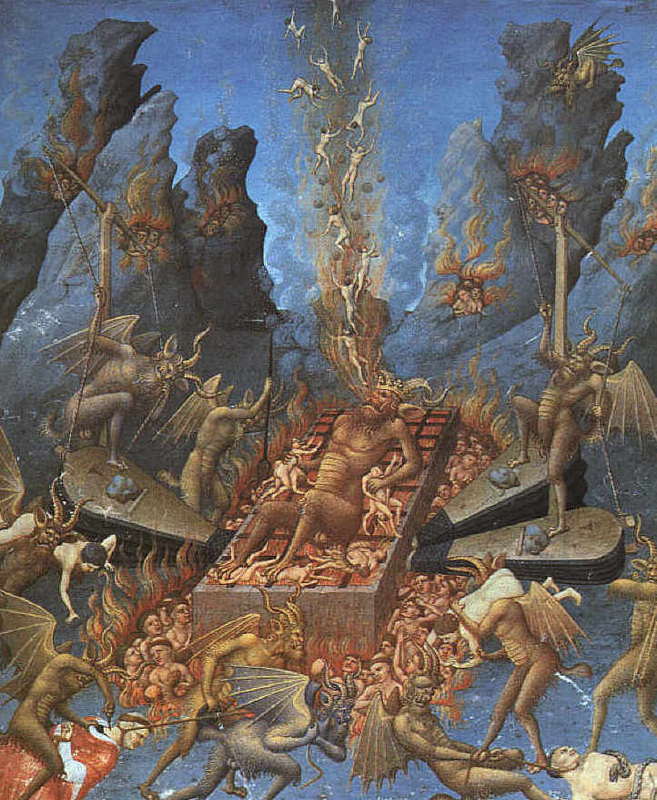 Those in hell are conscious, so they are able to speak to new arrivals. Is the Lake of Fire a place of torment day and night for ever and ever? YES!